From the time Berlin was established as a town in 1806, we have had our share of disasters and tragedies. 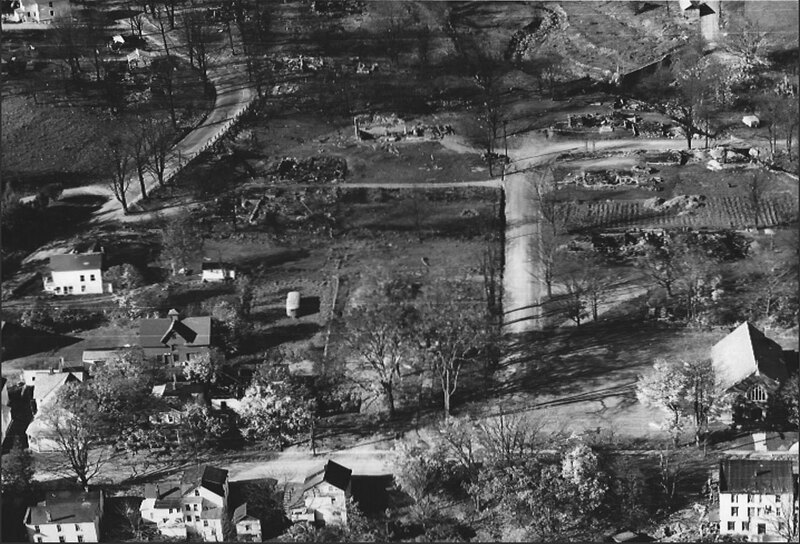 From epidemics, blizzards, fires, and floods to tornadoes, accidents, and draughts, nothing in modern times has equaled the propane truck disaster, which occurred 50 years ago on July 25, 1962. Nine people died of burns, one of whom was Robert J. Lucas of Pennsylvania, driver of the 7,000 gallon tanker loaded with propane that left the Plank Road at a sharp turn, hit a tree and exploded leaving the area looking like a war zone. Experts who investigated the accident said the propane spewed from the ruptured tank, mixed with air, and formed a cloud that spread rapidly over the area, and then exploded. If you were in Berlin on that day, it is something you will never forget and something you don’t want to talk about very much. Initially, no one knew what had happened except that it was bad! Eleven homes and the First Baptist Church burned to the ground. Sheds and barns and garages were razed. Cars and school buses were destroyed and other houses were badly damaged. Worse still was the loss of human life—our friends and neighbors. On that fateful day we lost Mrs. Rosalie Loker, Mrs. Victoria Loker, Joseph E. Sourdiffe and his wife, Kenneth McCumber and his wife Florence (“Flossie”), Mary Brazie, and Dorothy Wager. Some add Mabel H. Wager to the list as she died in her sleep that night of a heart attack. And, of course, there was the driver of the truck, Robert Lucas. Several others were badly burned. Not all died immediately; it seemed like each day another wake and/or funeral was added to the list. It had been a dry summer, which meant the water supply was limited, and the major fire spread rapidly before any apparatus could respond. That meant the principal job of the fire companies was to confine the fire to the area and effect whatever rescues could be made. No longer can spectators be in the area, hampering the firemen and ambulance folks, as it was that day. Some fires even popped up again the next day. In the following days, thousands of people visited the site. Some local folks were upset feeling the town was like a sideshow. However, many put money in milk cans near the area to help victims and families. Others sent money by mail; all told, more than $20,000 was collected in this manner according to then supervisor, W. Robert Bentley. We must be grateful that the new Route 22 had been completed a short time before, enabling fire companies and ambulances to get to the scene more quickly. Fire apparatus and ambulances from 13 communities in Rensselaer County and from Dalton and North Adams, Massachusetts, were called upon thanks to the Mutual Aid Response in place at the time. It was reported that traffic was backed up for 7 miles! We must also be grateful that the propane truck didn’t travel another 30 seconds downhill before the accident for it would have involved the center of town where hundreds of people were in residential buildings, businesses, and the hotel. As a result of this tragedy, State Police, the Sheriff’s Department, ambulances and fire companies now work together even better than they did then. It was determined that the cargo tank had a faulty weld causing the explosion. Since then tanks have been redesigned which may well have aided the outcome of the recent propane truck accident in Hoosick. The area of greatest impact has been rebuilt and is hardly discernable now, except to those of us who were here on that day. However, the scars of the families of those whose lives were cut short will always remain.